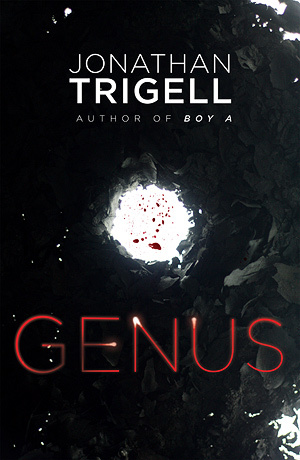 Genus by Jonathan Trigell is set in a future dystopia in which society is more or less segregated along genetic lines: the 'Generich' are genetically engineered, disease-immune human beings bred by parents who have been able to pay to select certain characteristics for them, while the 'Unimproved' are, well, us. Normal people. Except in the world of Genus, they've become a sort of festering underclass mostly confined to inner city slum areas such as King's Cross, now known as 'The Kross'. The novel balances (a lot of) social commentary with Huxleyesque science fiction and a thrillerish plot about a series of murders, shifting points of view between a number of characters. Genus is full of clever satire and brilliantly-written description, and I found myself fascinated by many aspects of the future it depicts, along with some, at least, of the characters. Holman, an Unimproved artist with stunted legs who appears to be a sort of futuristic Toulouse-Lautrec, drifting through the underbelly of The Kross and taking his subject matter from its inhabitants, particularly captured my imagination. The Regans, a gangland family who are all apparently clones of one other, also fascinated me, as did Holman's wealthy mother, and blind soldier Crick. However, I felt some other characters were less successful - corrupt policeman Gunt struck me as, well, just a bit dull, and his storyline repetitive - and there were certainly times when I would rather the author hadn't been quite so heavy-handed when it came to signalling parallels with historic and current events. For instance, in some particular developments that have clear similarities with the Plague and the treatment of Jews in Nazi Germany, which are extremely and deliberately obvious in the author's description of them, I really didn't then need to have him sum up by telling us The Kross has become a 'plague ghetto', just in case we hadn't noticed what he was trying to do. I also felt the plot lost its way somewhat in the middle section of the novel, at which point it started to feel rather self-indulgent for a while - but thankfully it picked up again admirably as the novel raced to a gripping conclusion. 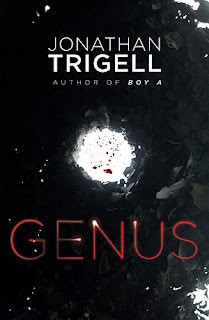 Genus was a novel that grew on me as I was reading, and my criticisms of it are relatively minor. By and large it's a difficult book to put down. Trigell builds his dystopia with careful detail and rich description that gives you a real sense of being part of this urban hell of poverty, lawlessness and neglect, and the perceptive, quotable passages worth marking would consume a pack of Post-Its. It raises some excellent questions about the way society treats those it has placed on the bottom rung of the ladder - I assume Genus was written before last summer's riots, but there is an event in the book that is chillingly similar - and paints a grim picture of where we might be expected to go from here. The theme of genetics in a futuristic setting brought to mind the film Gattaca, which I enjoyed very much. Sounds like a fairly grim read, but worth the effort. It is quite grim in many ways, but there's also some clever satirical humour in it. Although I felt it had some faults, overall I'd definitely recommend it. It's a good study of the way a society can manage to go forwards and horribly backwards at the same time.